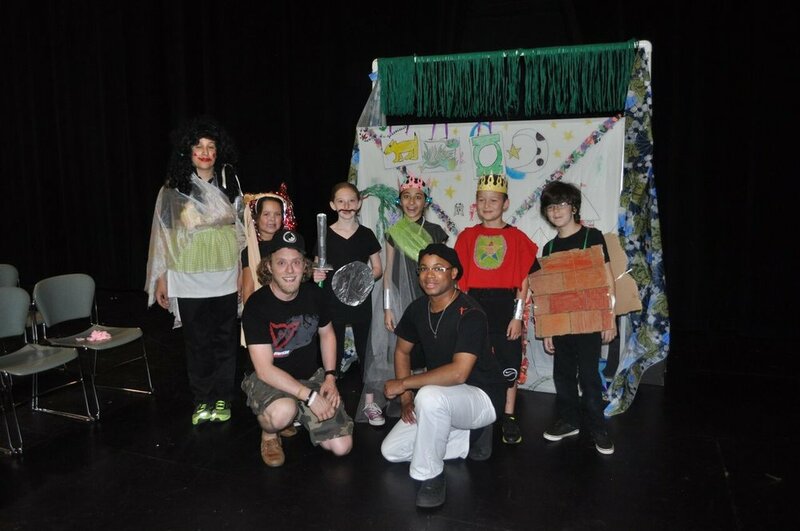 Get ready for a two week fun and imaginative summer program where rising students learn all aspects of theater while rehearsing a 30-minute Shakespeare play! Elm Shakespeare invites children ages 7-12 to jump into Shakespeare's magical world at the Elm Shakespeare Players Camp. Students spend two weeks immersed in an imaginative, supportive, and fun environment taking interactive classes in acting, clowning, stage combat, voice, movement, and theatrical design – all while rehearsing a 30-minute version of one of Shakespeare's plays. Scholarships are available for those who qualify! Tuition: $550 - Online payments will incur a 2.9% processing fee of $16.25. Parents can also pay for registration via mailed check. Our teaching artists are working actors, stage managers, directors, and designers. Students must bring their own lunch, as no food will be provided. Final performances are at 2:00 PM on the final Friday of the camp. We accept all campers, including those with special needs. + How long have you been doing Players’ Camps? After a very successful first year, ESC Players Camp returns for 2017. The format, curriculum and teaching artist training comes directly from San Francisco Shakespeare Festival which is now in their 24th season of Shakespeare Camps, which now serves over 750 campers every summer in 35 locations. + How old should you be to attend Players' Camp? Players Camp accepts campers who are 7 years old (or going into 3rd grade) through 13 years old (or going into 8th grade). For older students, please consider our Teen Troupe program (13 years old or going into 8th grade) through 18 years old (or going into college), or our Summer Scholars Internship (14 years old or going into 9th grade through 20 years old). We leave it to the parents' discretion to decide whether their 13-year-old will most benefit from being the oldest in a younger camp or youngest in an older camp. The age criteria are based on a few different variables, but its primary intent is to try and ensure that the camper's experience is a positive and enjoyable one. Campers must be the appropriate age at the start of the camp session. + Is it okay to go to Players' Camp if you've never acted before? Yes! ESC Camps are designed for beginning and intermediate campers. Classes are small enough that our teaching artists are able to work with each individual at his or her level, including those who are new to performing. + What is the student to teacher ratio at camp? Approximately 10:1. The maximum number of campers at each session is 40. For a full camp, there will be 3 teaching artists and 1 manager. Full camps frequently also have a teen intern. Each group has no more than 14 campers with one teaching artist, to ensure that everyone gets plenty of individual attention and a speaking role in the final production. + Who are the teaching artists at Players' Camp? Our teaching artists are working actors, stage managers, directors, and designers. Most have extensive teaching experience in other camps and programs. About a third have postgraduate degrees in theater. All our teaching artists attend our classroom management and curriculum training sessions. At least one per site is certified in First Aid and CPR. We do criminal background checks on all teaching staff. We are very proud of the quality of our teaching artists and curriculum. + What happens during a typical day? For the first half-hour, from 9-9:30 am, the whole group meets together to do a warm-up. Then the group divides up into smaller groups for three classes. Each class lasts for one hour - 9:30-10:30, 10:30-11:30, and 12-1. Our lunch break is from 11:30-12. At the end of the day, each group has a two hour rehearsal for the final performance, from 1-3 pm. If aftercare is offered at the site, aftercare campers have unstructured play time from 3-5:30 PM. + What are the morning classes? In Shakespeare Players camps, the classes are Voice & Movement, which helps each actor to learn to use their voice and body to tell the story of their character; Discovering Shakespeare, focused on exploring the words of Shakespeare, how he used his language and the culture he wrote in; and Production & Design, in which campers design and create their own props, scenery, and costumes. In Upstart Crows camps, instead of Production & Design, we focus on more in-depth monologue work or Stage Combat. + What should my child bring to Shakespeare Camp? What clothes are appropriate? A bag lunch (no food is provided), any necessary medication, and an afternoon snack if attending aftercare. Some sites have faith-based food restrictions, about which you'll be informed in the confirmation letter. We highly recommend bringing a large bottle of water and sunscreen for outdoor sites. We provide all worksheets, a class folder, a script and materials for prop, scenery, and costume construction. Campers will sometimes volunteer to bring props and costumes from home. Campers should wear clothes that are comfortable to move in - skirts are not allowed unless shorts or leggings are worn underneath. No sandals or flip-flops; closed-toed shoes are best. + What if my child is unhappy with his/her role? Most campers, even if they are initially unhappy with their casting, find that they love their roles after a day or two of rehearsal. We find that even if cast in a role that has only one scene and a few lines, an actor with a good attitude can make the most of it, and often becomes one of the most memorable actors in the show! + How do you cast the camp shows? Does everyone get a part? During the first day of camp, the teaching artists will describe the characters and action of the play and have campers read aloud from the script. Intermediate campers, who can be heard and understood, stand comfortably on-stage, and seem energized and committed, are likely to be cast in roles with a larger amount of stage time. Beginning campers, who still need to work on the above skills, will probably start with smaller roles. The teaching artist usually decides on the casting that night and distributes parts on Tuesday during rehearsal. 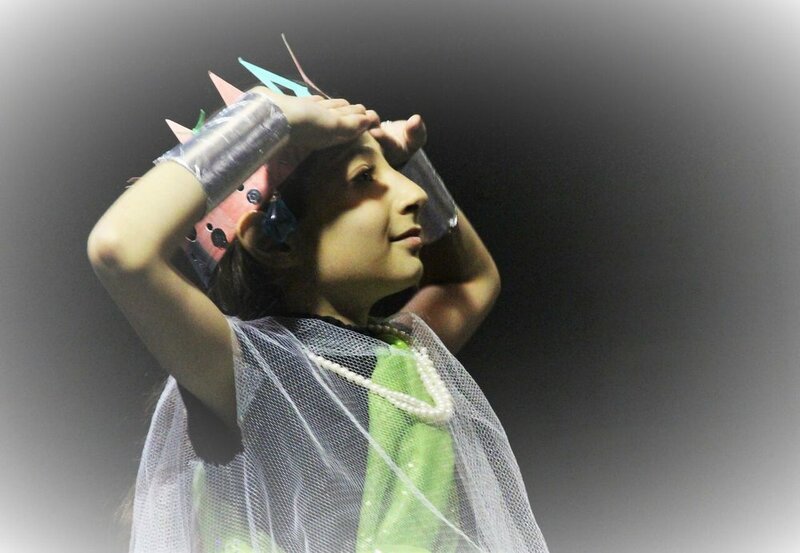 Every effort is made to give each child an appropriate role for his or her level of experience and comfort on stage. And yes, everyone gets a speaking role. + When is the final performance? Final performances are at 2:00 PM on the final Friday of the camp. Following the performance there will be a cast party with a pot luck buffet provided by parents. + What is the disciplinary procedures at camp? Each camper is asked to sign an agreement before the start of camp saying that he or she will agree to follow our basic camp rules of respect for the teaching artists, respect for the site, and respect for each other. During the first morning warm-up, the teaching artists will go over this agreement and ask campers to give suggestions for positive ways to support each other and the productions. If a camper violates a camp rule, he or she will first receive a warning, then a time-out with the manager, then a parent call from the manager, then a call from the Education Director and expulsion from camp. Major infractions will result in immediate expulsion. We do not tolerate behavior that interferes with other campers' enjoyment of camp. + Do you accept students with special needs? Yes. In the past we have had campers with autism, cerebral palsy, Asperger's syndrome, diabetes, and other mental and physical challenges. We find that most of these campers do extremely well at camp. Those with severe challenges may need the on-site attention of a parent or caregiver - this is decided on a case-by-case basis. We ask that all parents of children with special needs indicate this on the emergency form. The more we know, the more prepared our staff can be. + Is it okay to miss days during Shakespeare Camp? The campers who are able to attend every day of camp undoubtedly have a more rewarding experience. Even a short absence can cause your camper to miss out on a lot! Of course, emergencies and illnesses happen, and we do our best to work with them. Parents and children should remember that putting on a play requires a team effort from all cast members, and absences hurt the production. Please do not plan your vacation to overlap with the camp. There are no discounts for missed days of camp. + What do you do in aftercare? This depends on the site. Depending on the site, there may be time to play on the playground or with a Frisbee, etc. At others, we may be able to show PG and G rated films of Shakespeare plays or documentaries on Shakespeare's life. At most sites, there is time to continue with Production & Design projects, learn lines, and play theater games. We try to keep aftercare fairly loosely organized. Campers have had a very structured day and often appreciate the free play time. + My child loved camp! Can we sign up for a second session, or will it be too repetitive? Although the basic curriculum remains the same from session to session and year to year, a different teaching artist may have a different approach, and campers frequently benefit from multiple sessions in one summer. If your child is signing up for multiple sessions, let us know and we'll try to put him or her into a different show or with a different teaching artist so that he or she will have a new experience in each session. + How can my child best prepare for camp? Do you recommend any books or videos? 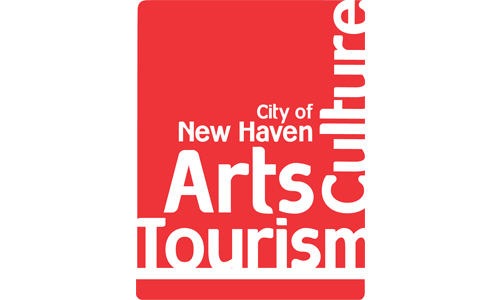 And please support live theater - aside from our own Free Shakespeare in the Park production, there are also numerous live Shakespeare and contemporary productions for the whole family all over the Greater New Haven Area every summer and all year long. + Do you have scholarships? Yes. We offer need-based scholarships on a case-by-case basis. Please submit a letter stating your need with your enrollment form, indicating how much you are able to pay and attaching any documentation that may advance your case. We have never had to turn away a camper with genuine financial need, although we may have some restrictions on which camp sessions are available.